I came home at dusk on Monday and saw this tree from my car. This evening John and I went back so I could take some pictures. The home owners really made an effort to cover the entire tree with lights. It has a Japanese feel, don't you think? Indeed it looks Japanese, and it is beautiful the way its branches are glittering. It's has a very magical look, very pretty. Very cool. That took a little work. Really beautiful the way those lights hang down. It does have a Japanese feel with the colour and bridge in the background. Nicely framed. This is gorgeous! Lovely shot. Oh, wow - that's beautiful! So pretty....and a lot of work to get all those lights on, but so worth it. Very nice...they did go to great lengths to decorate this tree! beautiful! 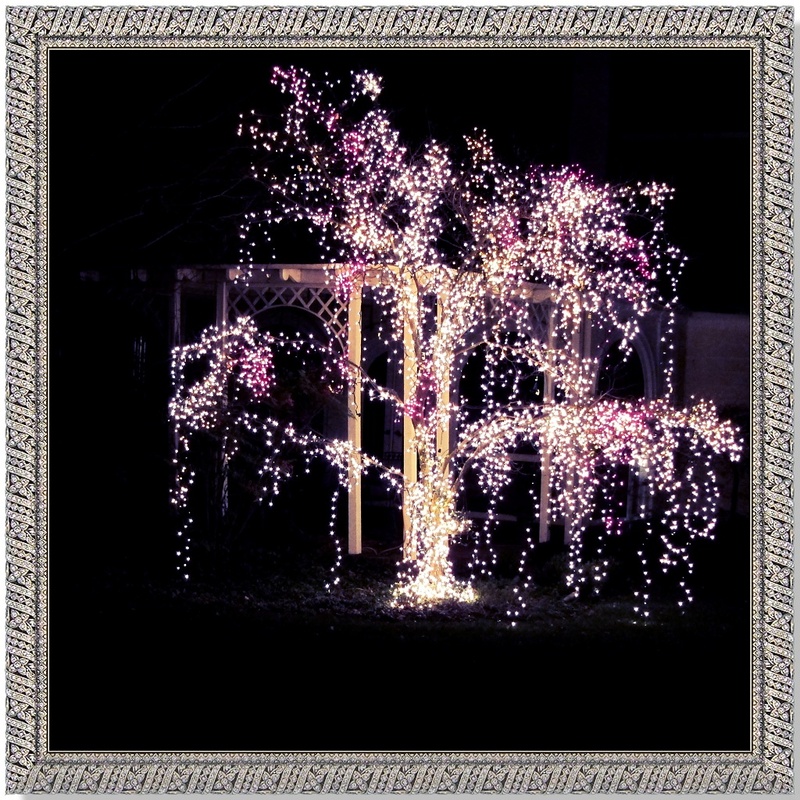 The lights, the cascading-ness of them, the frame....all of it added up, is just perfect!